“What is the best "powerlifting" cycle out possible, please include every drug you can with dosages etc.? Powerlifting Cycle is the set of protocols and methods of anabolic steroid use for the purpose of physique and performance enhancement. People believe that the use of steroids can be dangerous to our health, unless medically prescribed, but, in truth, under wise and precise guidelines and conditions, anabolic steroid cycles can be made a safe practice for bodybuilders and powerlifters. Safety is the primary concern when considering anabolic use for physique and performance enhancement. But what defines safe cycles in the use of anabolic steroids? What is the appropriate, safe and responsible use of anabolic steroid cycles? ● Individuals below 24 yrs old must never engage in any anabolic steroid cycle. Though each individual matures at their own pace and age, it is believed that the average median age that a person reaches maturity in his bodily systems and functions is between 24-25 years of age. By engaging in anabolic steroid cycles before 24-25 yrs, your risk for permanently disrupting and damaging the endocrine system is extremely high. Also, the Hypothalamic Pituitary Testicular Axis (HPTA) which controls the natural production of testosterone in our body is highly sensitive and only after age 24-25 do the risks of causing permanent damage to it drops. ● Testosterone should be used first and nothing else in a very first beginner cycle and should be included in all cycles thereafter. Testosterone is the original and only natural anabolic steroid that your body already produces, already uses and is already used to. Because of this, it is the only anabolic steroid that is safe to use first. Testosterone-only first cycle will also help beginner users gauge their response to this most basic of anabolic steroids. If you will respond well to testosterone, you will respond well to the others later on. ● Cycle lengths should always be kept short. The longer the anabolic steroids are used, the higher the incidence and severity of side effects. Also, the longer the use, the harder it is for you to recover your natural testosterone production after the termination of a cycle. A safe cycle should not go beyond 4 weeks with preferred cycles between 2-3 weeks. ● The minimum effective dose should be maximized first. The minimum effective dose is the lowest possible dose you can use where you see results. Make progress first with a small dose, get use to it and then increase to the barest minimum as you improve. Even a 300mg per week is not bad for a start. ● Do not use or stack more than 2 steroids at a time unless absolutely necessary. Using more than 2 steroids at the same time increases the stress on your organs which also increases the possibility and severity of side effects. 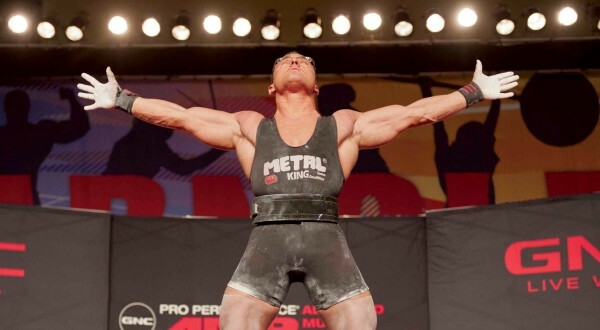 Powerlifting cycle can, indeed, help you increase your muscle size and strength, develop a leaner and harder physique and improve athletic performance but use them with caution and remember these stipulations for their safe use. For what use is a great body if you lose it to sickness and early death eventually?